Scott Hutchison—frontman of A.V. 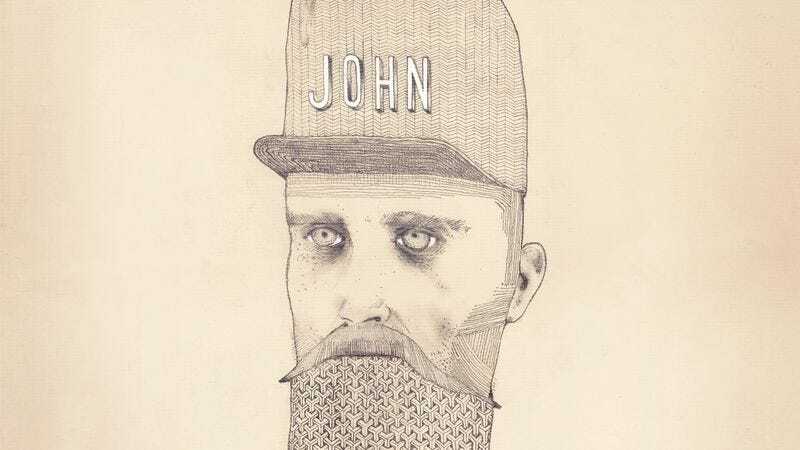 Club favorites Frightened Rabbit—recently announced the existence of a solo project, Owl John. Hutchison already has some Owl John shows under his belt, and he’s even got an entire self-titled album ready for release: It will find its way to digital and actual shelves on August 5. The album was recorded quickly with Andy Monaghan of Frightened Rabbit and Simon Liddell of Olympic Swimmers, and mostly tracked on the Isle Of Mull in Scotland. The quick-and-dirty writing-and-recording approach hearkens back to Frightened Rabbit’s earliest work, which shouldn’t be a surprise, since that band basically sprouted from Hutchison’s solo recordings. Below, you’ll find an exclusive stream of the song “Red Hand,” a somber rocker with an energetic pulse. Below that, the full track list for Owl John.